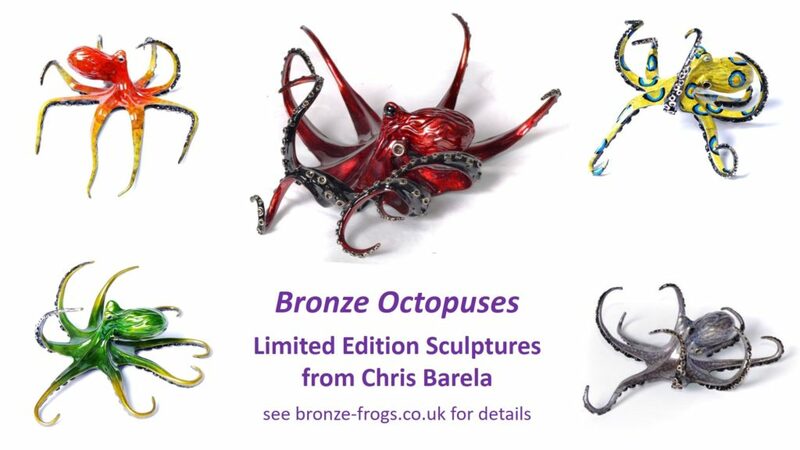 Limited edition bronze octopuses in vibrant colours from Chris Barela are also available. This entry was posted in Bronze Octopus and tagged Chris Barela by Bronze Frogs. Bookmark the permalink.